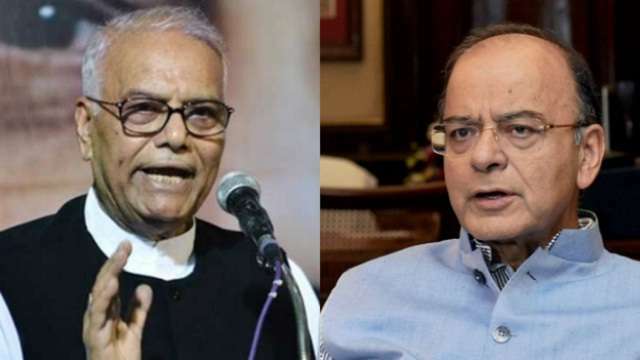 Shortly after Finance Minister Arun Jaitley, without taking names, described him as a “job applicant@80”, senior BJP leader and former Finance Minister Yashwant Sinha responded on Thursday saying “if I was a job applicant, he (Jaitley) would not be there in the first place”. Jaitley took a swipe at Sinha over his opinion piece, published in Wednesday, in which he blamed the minister for the “mess” in the economy. Sinha wrote that the economy is in a downward spiral, its revival unlikely by the 2019 elections and a “hard landing appears inevitable.” He claimed that his views were shared by many people in the party who were “not speaking up out of fear”. Sinha maintained that the government “completely misread” the situation on the economic front and “kept chipping away at the margins”. He said that instead of acknowledging “there was a problem”, “they kept singing praises of themselves, patting their backs”. Sinha said many BJP MPs had told him that “no one was being allowed to speak or raise issues at meetings of the parliamentary party”. 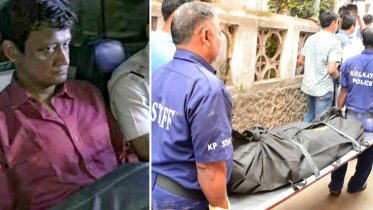 He also slammed what he felt were efforts by the government to pit his son Jayant Sinha, Minister of State for Civil Aviation, against him on the issue of the handling of the economy. “For all those who are saying that mine was a personal attack, it is not. If it is the economy, the blame has to be on the Finance Minister and not the Home Minister. By pitting my son Jayant against me, they are trying to obfuscate issues. I can also get personal but I don’t want to fall into that trap,” he said. In what appeared to be a counter to his views, Jayant Sinha, writing in Thursday, said: “Several articles have been written recently on the challenges facing the Indian economy. Unfortunately, these articles draw sweeping conclusions from a narrow set of facts, and quite simply miss the fundamental structural reforms that are transforming the economy… These structural reforms are not just desirable, they are necessary to create a ‘New India’ and provide good jobs for our billion-strong workforce”. Yashwant Sinha said he does not see the prospect of a change of guard in the Finance Ministry because “reshuffles have taken place and that has not happened. The point is we have lost precious time and now very little time is left and a new finance minister will not be able to do much”. He said the government “completely misread the situation” on the economic front and “kept chipping away at the margins. So, year after year, the bad loans of banks or NPAs kept rising. The first step was to stop the growth of bank NPAs which they did not do”. The government, he said, also neglected the telecom sector. He said with only one regular Budget before the 2019 elections, it would be difficult for the government to show results. The constitution of the Prime Minister’s Economic Advisory Council, he said, had come belatedly and it would not be able to deliver given the limited time. Be the first to comment on "‘He wouldn’t be there if I had been a job applicant’,Yashwant Sinha hits back at Arun Jaitley"